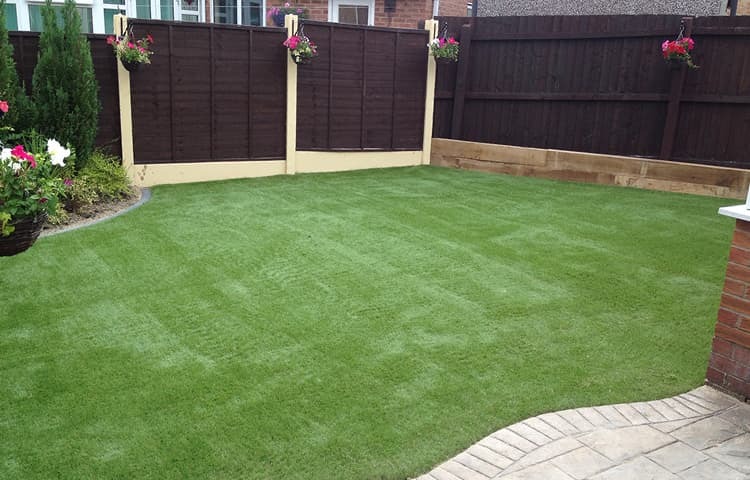 Unreal Lawns supply and install artificial grass in Oldham and the north west of England. We serve domestic and commercial customers in the area, with products suitable for a wide range of applications from outdoor spaces and gardens, to event areas, exhibition space and more. See below for some examples of projects we've carried out in the Oldham area. 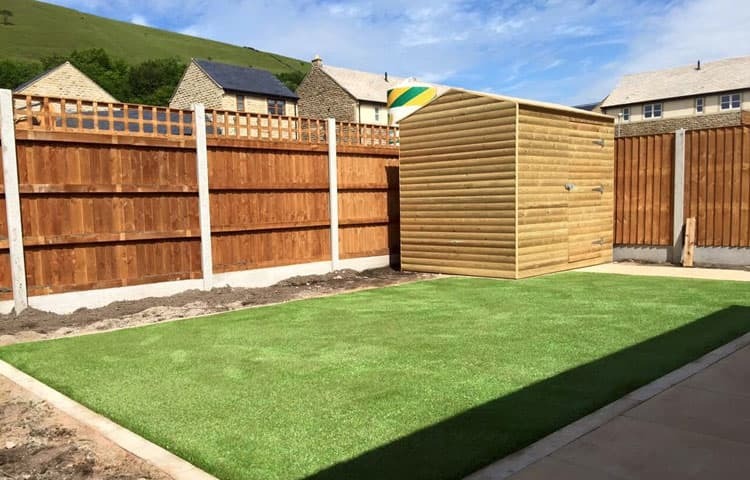 Unreal Lawns have had the pleasure of working with Wiggett Homes, fitting artificial grass to a new build property in Mossley, Oldham. Our artificial grass products are a great choice for new build projects. They give the eventual home owners a fantastic looking garden without the worry of any maintenance, leaving them to settle in to their new home. As you can see from the images, the lawn works really well with the stone edging. We're sure the new owners are going to love it. Unreal Lawns specialise in the supply and installation of artificial grass for children's play areas. The team have installed our products at many nurseries and schools making the play areas a lot safer for children to have fun with their safety at the forefront of our planning. We were asked to transform a couple's garden in Chadderton, Oldham, to make it a more child-friendly area. The couple run a successful home childcare business so the garden was an essential area to make right for this purpose, so that the children had a safe area in which to play rather than being stuck indoors. For this project we used our supreme grass. This product offers a cushioned, more bouncy feel which suited the couples needs perfectly.